First, HELLO Paducah!! My booth is setup and ready for the show! 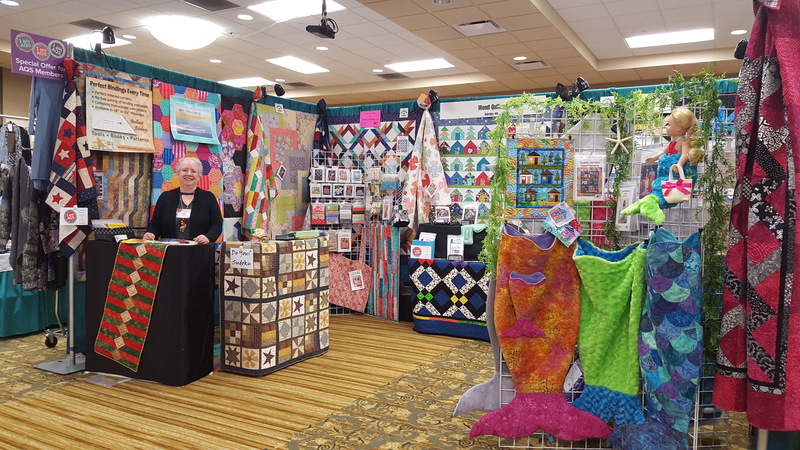 Come by and say hello and see all of my patterns, the quilts and tools. I will be giving demos and talk everything quilting. It was great to see four of my students today and this evening of preview! Thanks for sharing your progress. Since today is a very late night with preview, I will give the tips tomorrow on to odd angle bindings. Thanks for your understanding.